The nephrologist is often consulted in poisoning cases. Although management may involve attention to incident renal failure or electrolyte and acid-base disorders, blood purification may also be necessary . The application of dialysis therapies or hemoperfusion to enhance clearance of intoxicants is an essential task for the nephrologist. 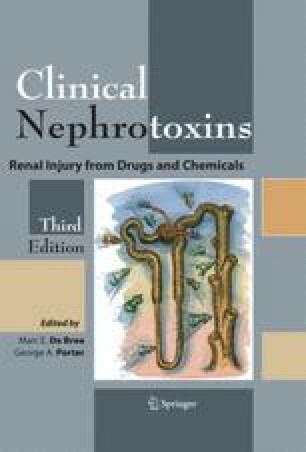 This chapter will outline the principles and use of dialysis and related procedures for the treatment of the poisoned patient. Consideration will be given to criteria for use of dialysis and related modalities, decision among available options, and recent advances. Finally, detailed discussion will follow for specific poisonings for which dialysis therapies are especially effective.